Another pattern released last week was my Slanted Garter Mittens. They are in the Garter Ridge pattern collection from Knit Picks. This collection features patterns that use garter stitch in different ways. 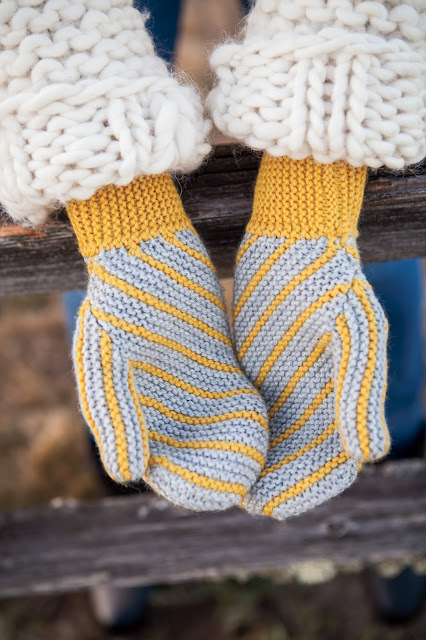 The main section of the mittens is worked flat and uses increasing and decreasing to shape the sides and form the diagonal garter ridges. The cuff is an attached garter edging. 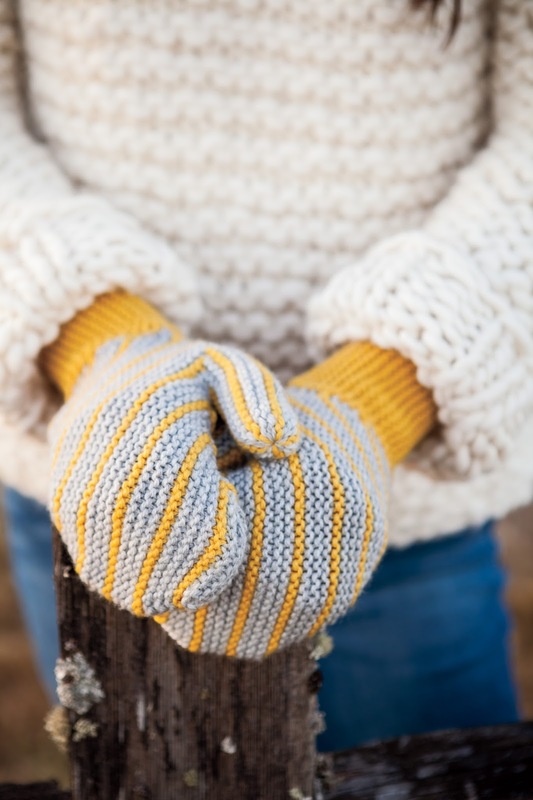 The mittens can be made in one color or with stripes. 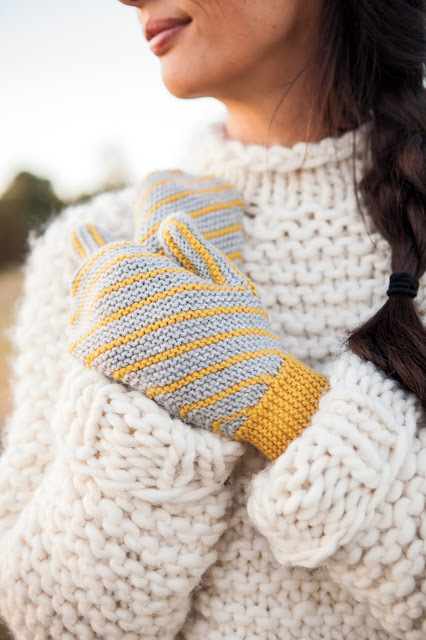 These mittens are knit entirely in garter stitch. They use the most basic stitch, but the unique construction makes for an interesting knit.